Updated: May 1, 5:43 a.m. | Posted: April 30, 11:44 a.m. Authorities are launching an investigation over claims that the election campaign of a St. Paul City Council member may have solicited an improper campaign contribution from a lobbyist. The exchange started as a coffee shop meeting with Council Member Dai Thao, who is running for mayor. It's now the focus of a criminal probe. The alleged impropriety dates back to February. The lobbyist in the case reported meeting with Thao and several clients over a matter the council was weighing. Thao has been on the council since a special election in 2013 and re-elected in 2015, and the meeting was in his 1st Ward. The encounter was detailed by the lobbyist this weekend in an interview with MPR, on the condition that the issue and the lobbyist would not be identified — for fear of retaliation against the lobbyist's clients. 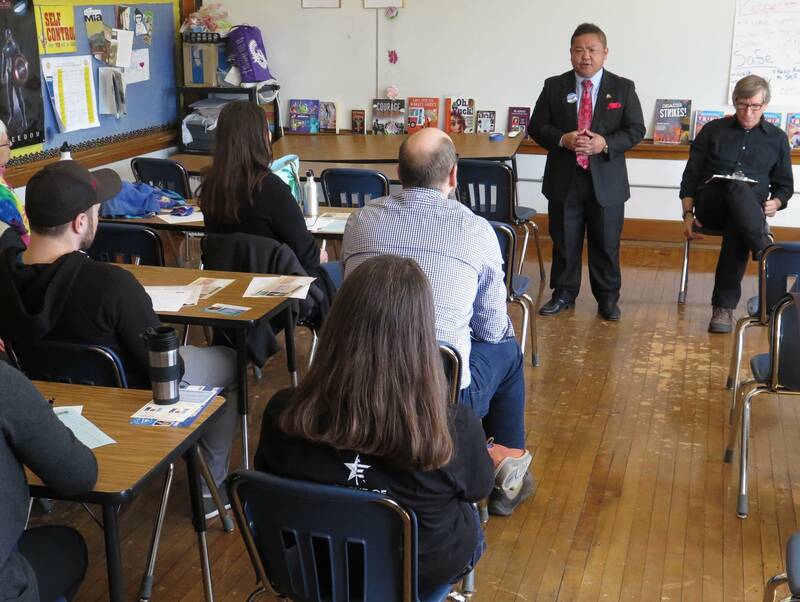 The lobbyist said Thao listened during the meeting, and then told the lobbyist and the lobbyist's clients that Thao needed what he called "resources to spread his message." The lobbyist offered some additional information about the issue. "I don't think anyone in that conversation thought he wanted information," the lobbyist said. "We talked about it afterward and we all felt that he had asked for money." The lobbyist said the meeting wasn't intended as a campaign meeting and that Thao's campaign manager did not attend. But the lobbyist said that shortly after the meeting, Thao's campaign manager, Angela Marlow, sent a message asking outright for a donation for his mayoral campaign and offering to "rethink this issue." "I was shocked to receive that first message. So I thanked her for reaching out and said that I would have to check on some campaign finance laws, given the fact that he's currently on the council," the lobbyist said. "I got back to her later on with the Minnesota statute on bribery ... to ask someone for money for rethinking your vote is very clear cut to me." The lobbyist believes the request was improper. 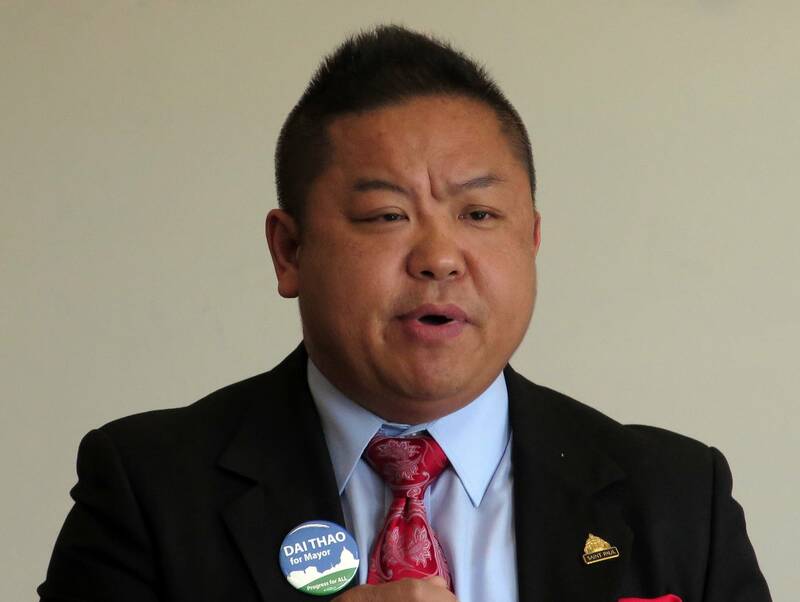 For his part, Thao denied any wrongdoing and called the allegations an attack on his campaign — although he did release a statement over the weekend saying he'd fired Marlow. He spoke in an interview at a DFL party convention at Harding High School Sunday. "The quid pro quo is absolutely false, and you'll have more of that when we have all the facts in the next coming days," Thao said. Thao also said he believed the incident involved proposed cigar and flavored tobacco bans he supported, which was not the subject of the meeting the lobbyist described. Marlow, Thao's campaign manager, did not respond to requests for comment about the February incident, the interaction with the lobbyist, or her status with the Thao campaign. Recent campaign emails also identify her as the AFSCME Local 8 union president and a support enforcement agent for the Ramsey County attorney's office, which confirmed this weekend that she did work in county attorney John Choi's agency. That could mean any criminal investigation might need to be referred to a different prosecutor to avoid a conflict of interest in St. Paul. The lobbyist involved in the matter also denied the allegations were a political attack and denied disclosing either the meeting or the text messages, saying the exchange had been shared with a confidante, seeking counsel about how to respond. The lobbyist said a third party released the information to a local TV station, without permission. Fox 9 initially reported the allegations Saturday. St. Paul Mayor Chris Coleman said he'd talked with the city's police chief about the allegations. "Any time you have an allegation on any kind of impropriety on the part of an elected official or public servant I think you need to take those very seriously," he said during a campaign stop in St. Paul. He opted not to seek a third term and is running for governor next year. Police Chief Todd Axtell said in a statement released Sunday that he had concluded that a further investigation into the matter is warranted. He also said he wanted to avoid any potential conflicts of interest, since Thao is on the City Council and has a vote on police policy and funding. Axtell said he's asked the Bureau of Criminal Apprehension to step in and investigate. The allegations have surfaced at a high point in St. Paul's mayor's race. Thao and three other contenders are vying for the endorsement of the city's dominant DFL party as they seek to replace Coleman. All three of those contenders, former City Council Members Pat Harris and Melvin Carter, and former school board member Tom Goldstein, said during party gatherings this weekend that they didn't want to comment directly on the allegations against Thao and were focused on their campaigns as first-ever weekend precinct caucuses in St. Paul wrapped up on Sunday. The party's city convention is June 17, which could decide an endorsement and be a key factor in this fall's election.